Offering professional sound and appearance at a surprisingly affordable price, the Special Edition Series from TRX is a new class of cymbals for modern drummers of all ages and abilities. The handcrafted, hand-hammered, B20 Bronze cymbals feature a full, rich tonal spectrum and a deluxe, two-tone finish. They are highly recommended for a wide variety of contemporary musical genres and playing situations. 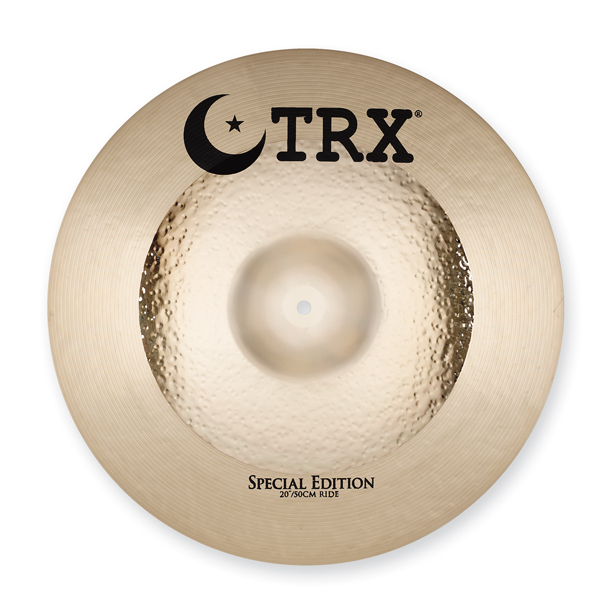 The Special Edition line also includes 8˝ and 10˝ Splash, 12˝ and 18˝ China and an 18˝ Stacker (vented) effects cymbals.